The MHP RRB36-N Rear Rotisserie Burner for GJK Nat-gas Gas Cart by MHP Grills ships factory direct to your door. 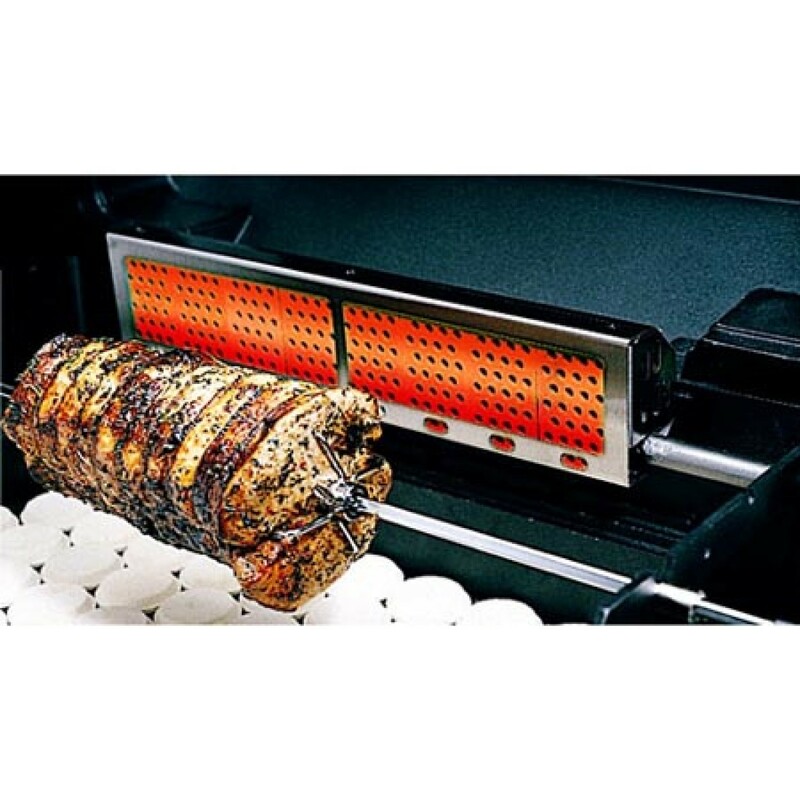 Rear Rotisserie Burner for GJK Nat.Infra-Roast Rotisserie Burner System Infra-red rear burner heats up fast seals in juices for more moist results. Constructed of commercial grade stainless steel. Easy to install or remove for normal grilling. 12,000 BTU rated, has its own control. Burner is re-moveable when not in use.